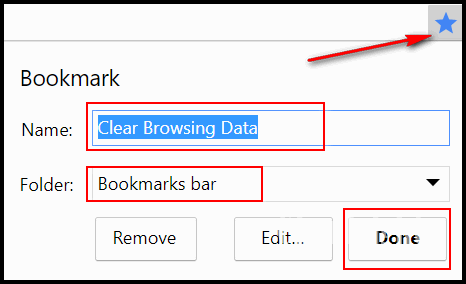 For those of you who use Google Chrome browser, here’s the fastest way to clear your browsing date short of creating a bookmark. Open Chrome, now press CTRL+SHIFT+DELETE on your keyboard. Chrome’s “Clear browsing data” dialog will open. Remember, clearing cookies will log you out of sites you’re logged into. The next time you visit those sites, you’ll have to enter your log in credentials again. Give it a name you’ll recognize. Keep it in your Bookmarks bar. Click done. The next time you want to clear Chrome’s browsing data, just click on your shortcut. It will open the Clear browsing data dialog. 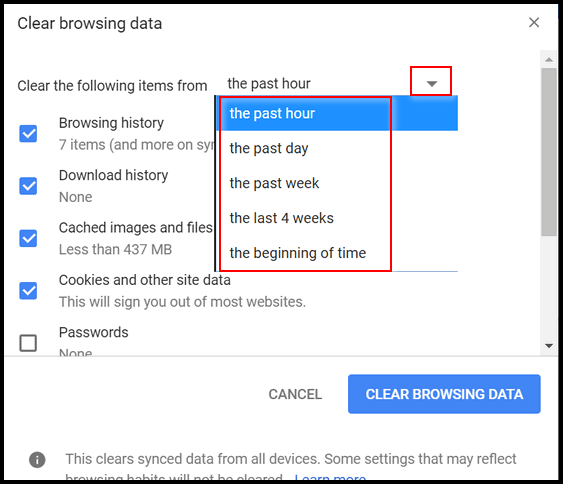 Now you know the two quickest ways to get to the Chrome’s “Clear browsing data” dialog. It’s hard to believe that it’s back to school time already. For a limited time, we’re offering you a chance to buy one Cloudeight Direct Computer Care Repair Key and get one FREE. You can keep the both service keys for yourself or share one or both with a family member, friend or student of your choice. Buy your keys now, use them when you need them. They never expire! Our Cloudeight Direct Computer Care repair keys are always good until you use them. Think of our computer repair keys as inexpensive insurance for your computer!. Our Back to School Buy One Get One Free Sale has been extended through Thursday August 31, 2017. A note about the September 1, 2017 Price Increase on Cloudeight Direct Care Repair Keys. Summer is our slow season so we’ve been featuring special prices on our Cloudeight Direct Computer Care Services. However, autumn and winter are busy times. We’ll be announcing a small price increase for single session Cloudeight Direct Keys on September 1, 2017. So, take advantage of our Buy One & Get One free special right now. We’ve extended our BOGO sale through Thursday August 31, 2017. Just curious but why doesn’t Ctrl+Shft+Del work? If I click on the three dots there is a clear browsing right there to click on and that is what I happen to use but I AM curious as to why the Ctrl+shft+del has not worked for quite sometime now. It does work. But it only works when Chrome is open and in focus.